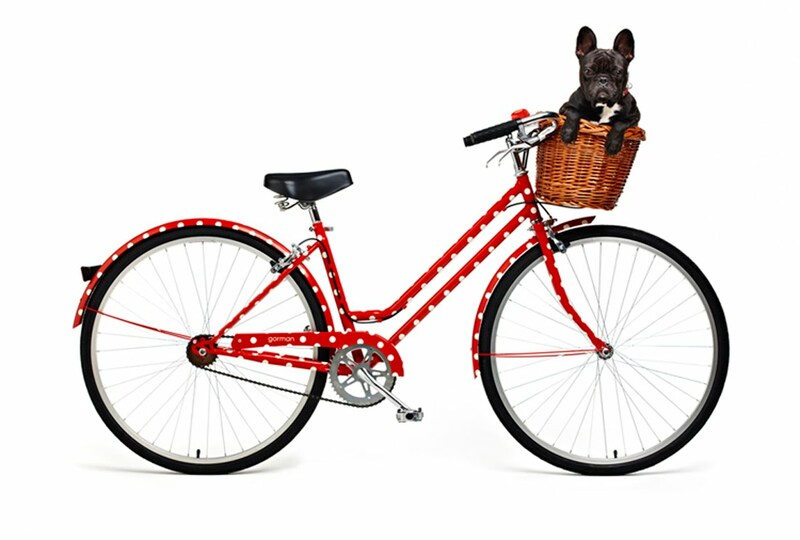 It's not surprising that hip eco-conscious Australian label Gorman has decided to produce a limited edition of bicycles. Founder, designer and environmentalist Lisa Gorman rides her own bike everywhere and has said of the Gorman team that they are all "extremely fond of the bicycle, both as a mode of transport and as your most important fashion accessory". In 2008 they even took up home in a recycled shipping container at Federation Square in Melbourne during the Bike Film Festival, designing the logo for the festival t-shirt and giving the BFF audience discount on their clothing range. These beautiful red and white polkadot bikes are a remake of a vintage style and come complete with basket (but not Scotty dog...). They are currently available in all Melbourne stores and Paddington and Bondi stores in Sydney with plans for more colours if this initial run is a success. Retailing at AUD$499 I'd say they are the perfect addition to any cycle chicas ensemble and a great way to head in to our summer months! I am totality in love with this bike! and you're right, bikes are the perfect accessory! Where in Sydney can I swing by to get this? I would really love to take a look at it - it might make a perfect engagement gift for my wife-to-be!